Curling Canada has announced that Canada’s best four-player mixed curling teams will be headed to the Swan Valley in Manitoba for the 2018 Canadian Mixed Curling Championship. The Championship will be played at the Swan River Curling Club, Nov. 12-18, 2017 with the winner advancing to the 2018 World Mixed Championship. A local announcement was formally made at the Swan River Community Centre as Curling Canada released the news on October 5, 2016. Congratulations were extended to the bid committee from the Swan River Curling Club, Hon. Rick Wowchuk, MLA for Swan River, Town of Swan River Mayor Glen McKenzie and Kelli Riehl, Chairperson from the Swan Valley School Division. Many expressed support for the committee and expressed great confidence that, with the support of Swan Valley businesses and community members, the event would be a tremendous success and a great opportunity to showcase the Swan Valley. 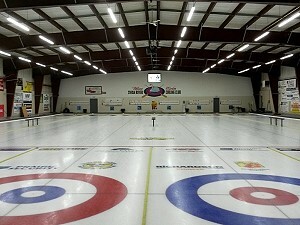 This will be the 55th time the national championship will have been played and while the championship has visited Manitoba six times, Swan River has never hosted a Curling Canada Championship.